If Cirque du Soleil was a single tourist attraction, it would be in the top 10 worldwide with over 15 million visitors per year. They frequent most big cities in the world and come to Amsterdam once a year. They typically set up near the Amsterdam Arena, where a large parking lot is turned into a circus. Get tickets here. Cirque du Soleil comes to Amsterdam this year performing KOOZA. Kooza is inspired by Indian music. It advertizes as “an adrenaline rush of acrobatics in a zany kingdom”. This is the best show that Cirque du Soleil has according to many circus enthusiasts. Most eye catching feature is a large traveling tower which moves around the stage during the show. It is used to pull off the most amazing acrobatic feats and makes up for an impressive show. 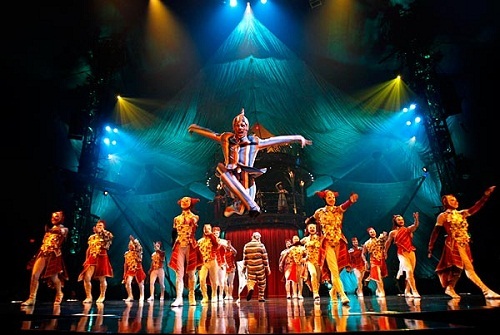 The KOOZA show runs from the 13th of March until the the 27th of April. There are various type of tickets. For most people, the regular tickets will do just fine. But if you’re really into this kind of thing there are VIP tickets, backstage passes and producer seats. Children (2-12), seniors (65+) and students get a discount. Prices vary from 69 to 146 euros. VIP and other special tickets are much more expensive. There are also group tickets and corporate offerings. 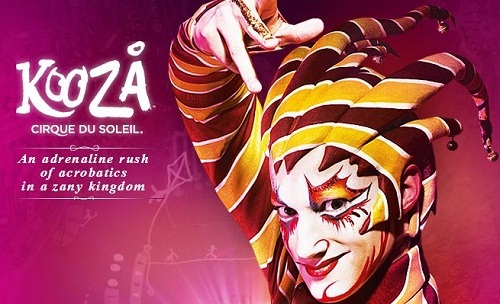 Get more info about the Cirque du Soleil KOOZA show in Amsterdam here.